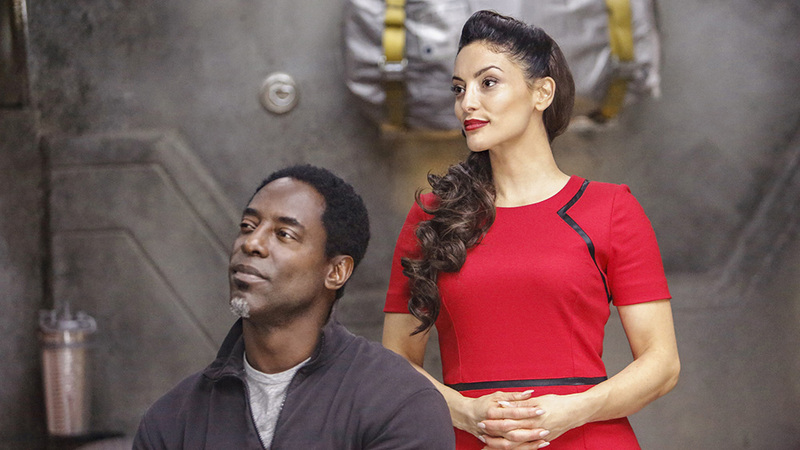 Canadian-born actress, Erica Cerra became well known among television audiences following her breakout role as Deputy Jo Lupo on the hit Sci-Fi series Eureka. Prior to her performance in the series, she had played several minor roles mainly on the small screen. She also has a number of notable film credits to her name including the highly successful 2010 fantasy film Percy Jackson and the Lightning Thief. More recently, Cerra has come to be known for her recurring role as artificial intelligence A.L.I.E. on another Sci-Fi series The 100. The talented actress also recorded notable guest roles on the hit horror series Supernatural as well as the action series Deadly Class. Erica Cerra was born on the 31st of October 1979. The actress, who is of Italian descent, was born in the coastal seaport city of Vancouver located in Western Canada. An early bloomer, Cerra caught the acting bug at a very tender age and her first television appearance was on the Canadian show KidZone. She equally featured in numerous TV commercials during her childhood and teenage years. At the age of 14, she starred in the television series No Adults Allowed (1994) after which she took a long hiatus from acting. Upon her return to the screen at the turn of the century, Erica Cerra landed guest roles in TV shows like Special Unit 2 (2001), Dead Like Me (2003), The L Word (2004), The Collector (2004) and The Dead Zone (2004). She marked her feature film debut in the horror flick Adam and Evil (2004) and also appeared in the superhero film Blade: Trinity (2004) starring alongside Wesley Snipes, Jessica Biel, Ryan Reynolds, and Triple H.
Cerra returned to television afterward when she guest-starred in hit shows such as Smallville (2005), Cold Squad (2005), The 4400 (2005) and Battlestar Galactica (2006). She equally had a role in the indie comedy film Man About Town (2006) which was headlined by Ben Affleck. The Canadian-born actress eventually landed her breakthrough role on the Sci-Fi comedy series Eureka (2006-12) starring as Deputy Jo Lupo. Her brilliant performance during the 5-season stint of the hit show endeared her to television audiences and also cemented her status as a star actress. Erica Cerra also appeared in the hit fantasy film Percy Jackson and the Lightning Thief (2010) and she also had a starring role in the action flick The Stranger (2010) opposite Steve Austin. She appeared in the TV films Mega Cyclone (2012) and The Wishing Tree (2012) and also featured in the short-lived medical series Rush (2014), in addition to several TV guest roles. The talented film and TV star was on the cast of the sci-fi series The 100 (2015-18) in which she portrayed dual characters – A.L.I.E. and Becca. She played the role of Dumah in season 13 of the hit fantasy series Supernatural (2017-18) and she also appeared in the action series Deadly Class (2018). While her television credits continued to soar, Erica Cerra also played the role of Mrs. Kwan in the superhero film Power Rangers (2017). Erica Cerra is in a blissful marital union with Raffaele Fiore, her high school sweetheart. The duo has known each other since they were teenagers and from all indications, their union is bound to stand the test of time. They tied the knot on the 15th of November 2010. The couple welcomed their first child on May 14, 2012, a daughter named Talia Serafina Fiore. Unlike your regular Hollywood star, Cerra prefers to keep her personal life private and there are very few details about her family life in the media. • Erica Cerra has certainly proven that she has sufficient talent to remain relevant in show business for a long time to come and interestingly, she also has extremely good looks going for her. The Canadian-born star stands at a height of 5 feet 5¾ inches (167 cm) and she maintains a body weight of 54 kg (119 lb). • She has an enviable hourglass physique with a bust size of 31 inches (81 cm), a waist size of 24 inches (61 cm) and hip measurement of 33 inches (84 cm). Cerra also has gorgeous hazel-colored eyes and a long mane of black hair which is one of her trademark features. • Erica Cerra has revealed that her favorite genres are science fiction and fantasy and a look through her acting credits shows a reflection of these preferred genres.